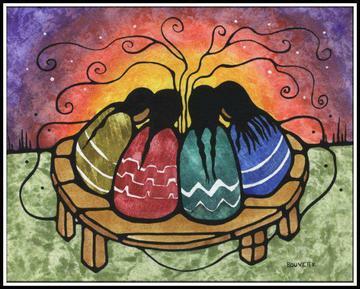 A women’s circle is a safe space for women to share their stories, be heard and be seen. This is an act of resistance! We take the power over ourselves, our thoughts & our feelings back into our own hands. Women have been sitting in circles longer than written history. We gathered around fires in caves, we gathered in sacred places and held space for each other. In a circle we are all equal, there is no hierarchy of power and divisive competition has no place. In this world we all places where we can be authentically ourselves, vulnerable and strong. Sisterhood is based on mutual respect, compassion & a firm belief in the wholeness of each woman – we are not together to fix anyone because we believe that deep down, under whatever is going on for that person, they know their own answers. They know what they have to do to walk their path to wholeness. What we do in circle is hold a loving space for each other to find our core truth and remember the powerful, beautiful beings we are, even amid broken dreams and daily struggles. We each have beauty and power inside. We don’t need fixing. We need space to talk, not to be judged, not to be criticised but to feel supported and loved as we find our way in the world as best we can. 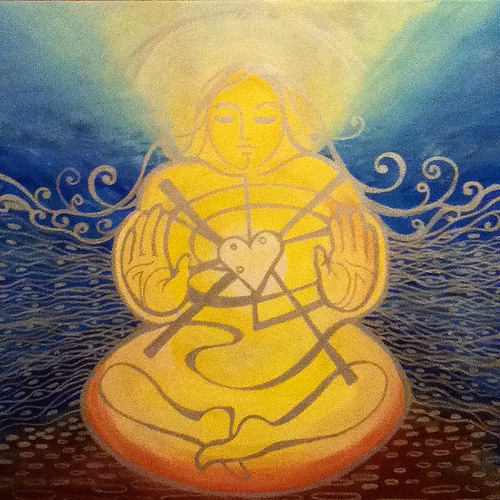 By holding a compassionate space of loving kindness for ourselves, and each other and the wider world. This spring begins my year-long women’s circle. 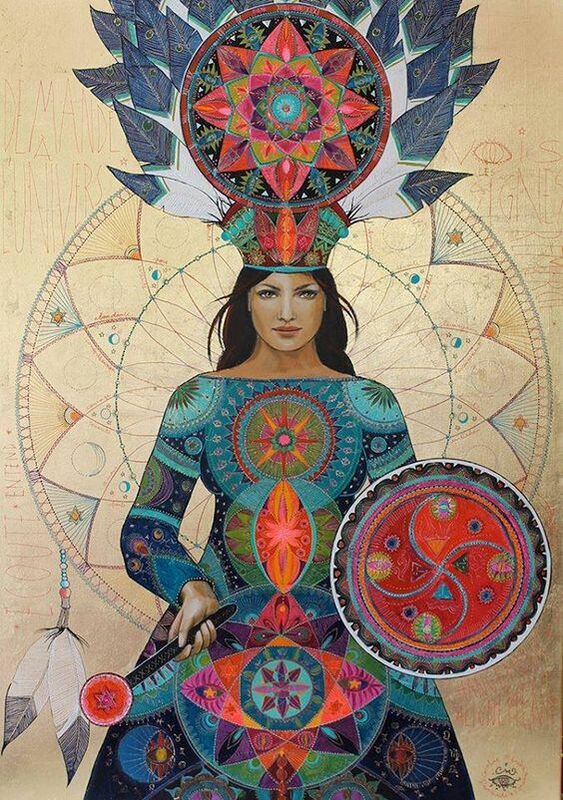 This journey of self-initiation uses sacred women’s circles to provide a container for deep inner work and connection with nature. We meet for a full day each month for 12 moons. It is about taking women’s circles to the next level, stepping up to embrace the priestess archetype within. If you feel called to host your own women’s circles this year-long course is perfect preparation for you. Find out more here: The Way of the Witch and join the introductory workshop on Saturday 9th February 2019.
to do our work that needs to be done. A place where we can be free.